PATH trains arrive directly to Westfield World Trade Center. Visit panynj.gov/path for routes and schedules. NY Waterway Ferries stop at World Financial Center. 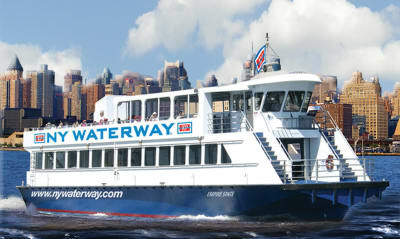 Visit nywaterway.com for schedules/routes. Our Concierge Team can easily arrange for you to travel by taxi. West St. or Church St. are the best to hail a cab, or you can use the ride service of your choice. To reach our Concierge Team, please TEXT 212.284.9982. At Westfield World Trade Center, please visit our Concierge Desk, located on C2, the main level of the Oculus to inquire about a wheelchair. We politely ask our guests to provide a Photo ID and valid cell phone number at time of pick up.